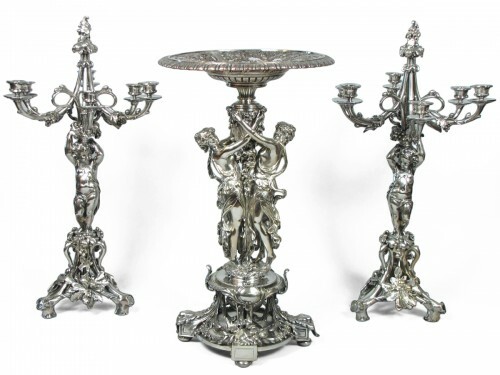 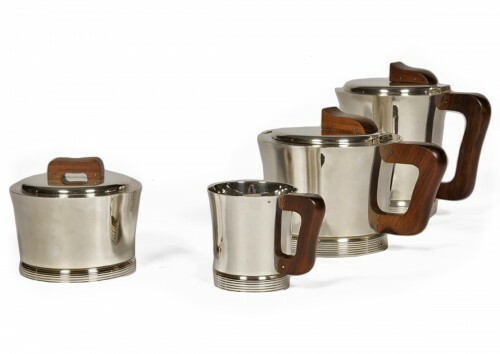 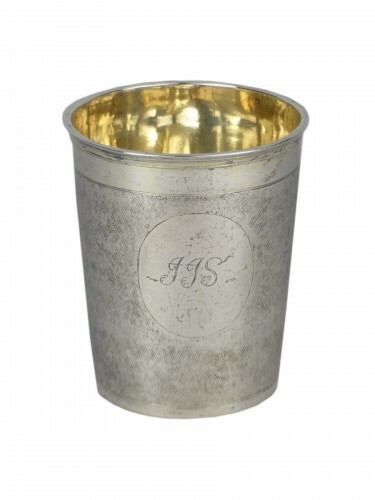 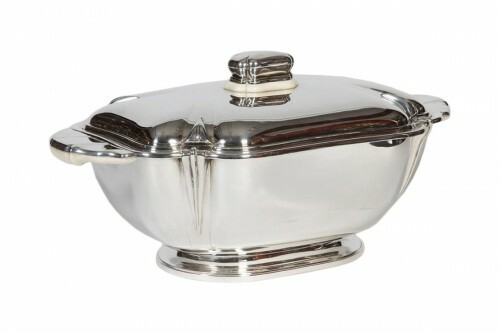 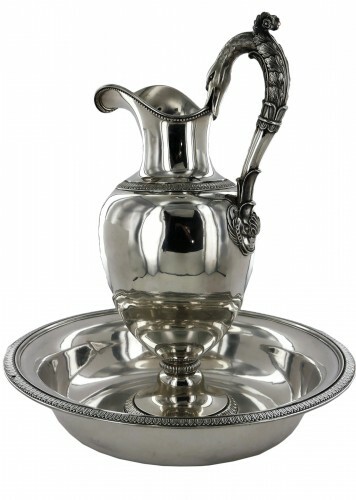 AnticStore > Catalogue > Antique Silver > 19th century > Centerpiece in silvered bronze XIXe and crystal attributed to Henri Picard. 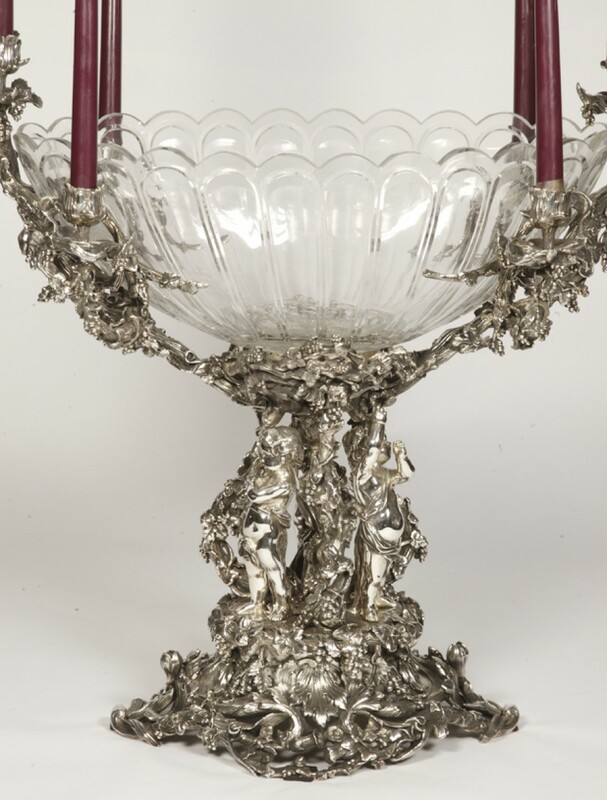 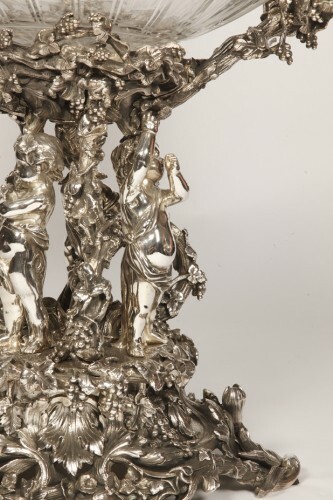 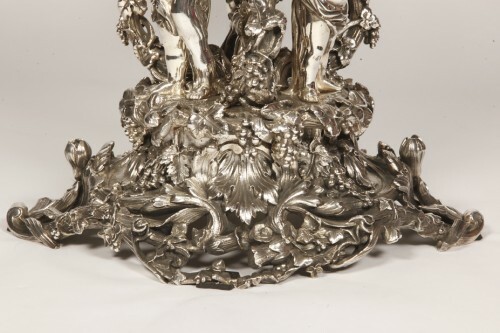 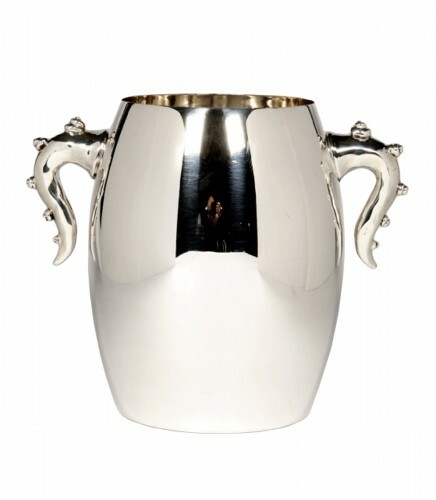 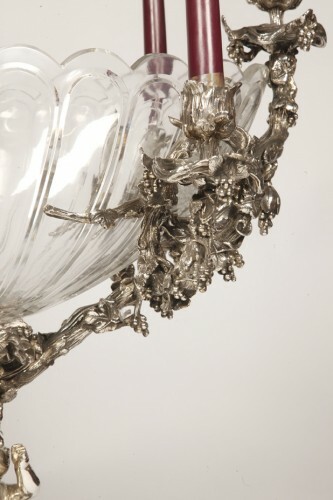 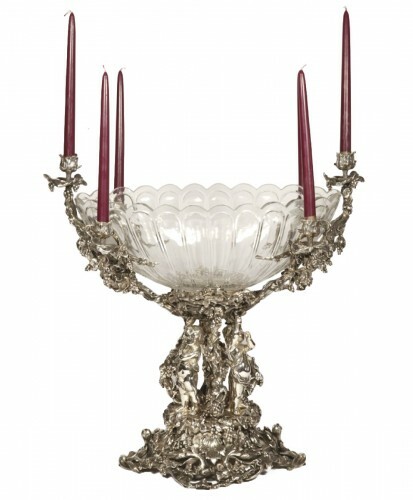 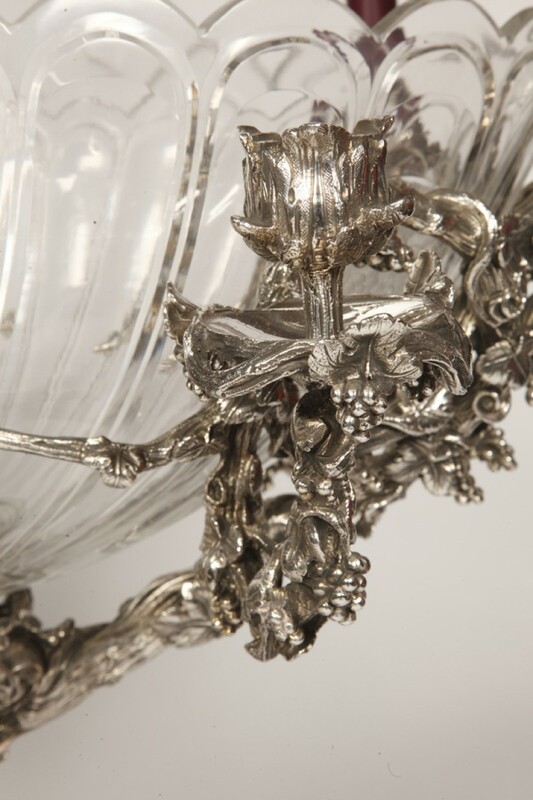 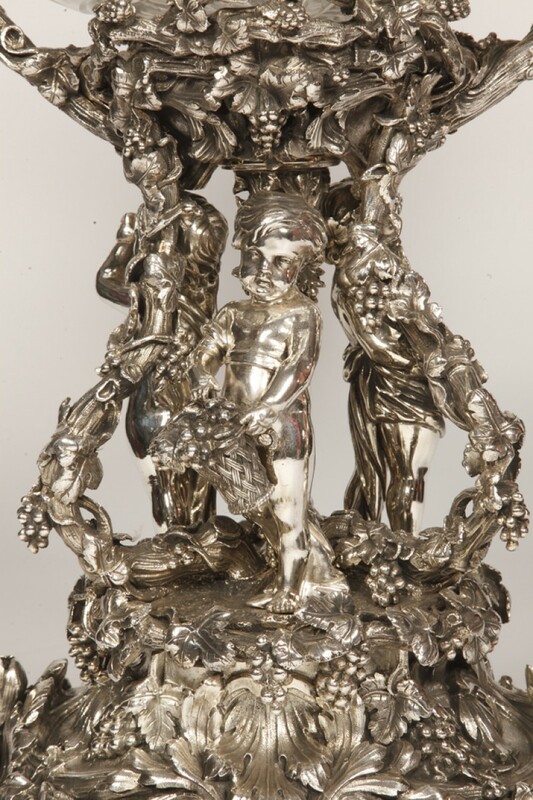 Centerpiece in silvered bronze XIXe and crystal attributed to Henri Picard. 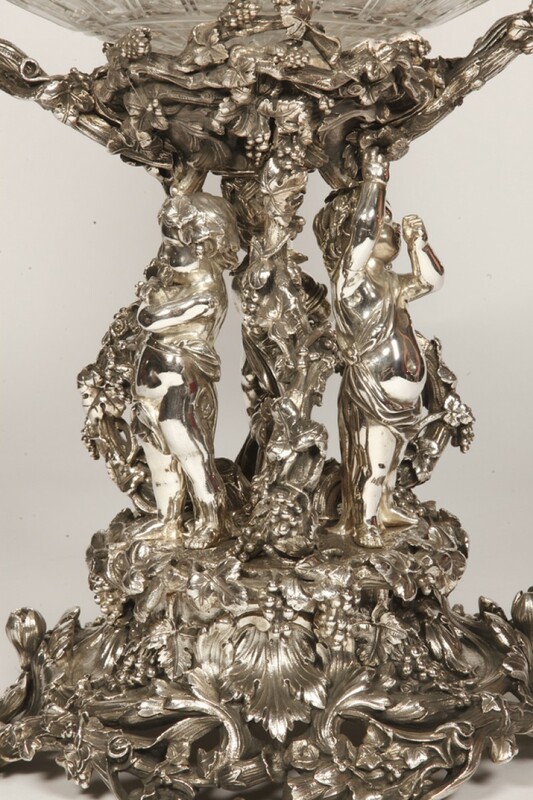 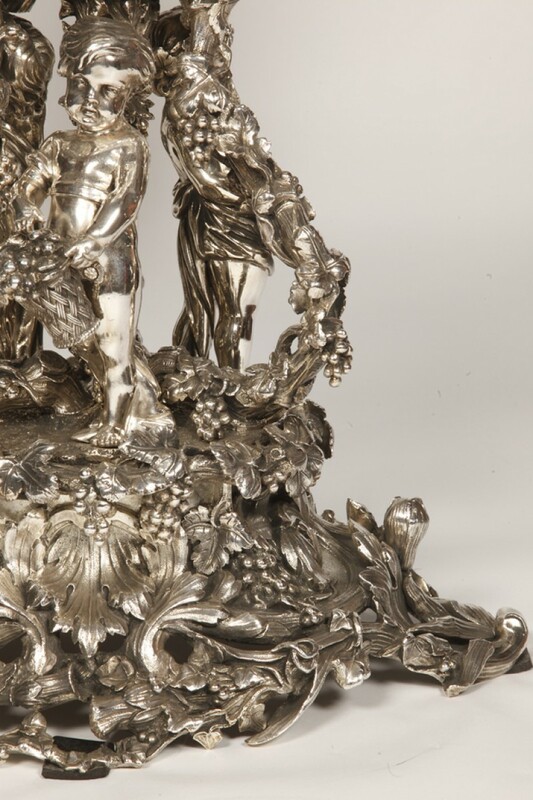 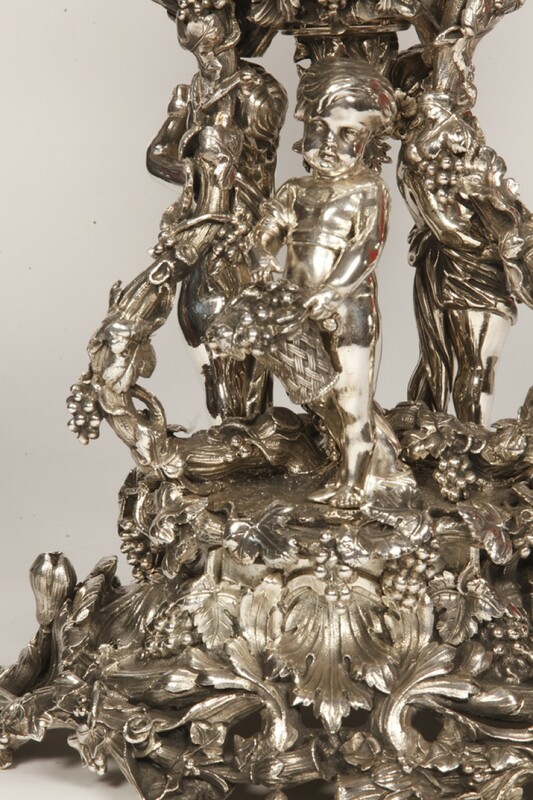 This figurative centerpiece in silvered bronze is molded with grapes and grapes representing the harvest of the wine. 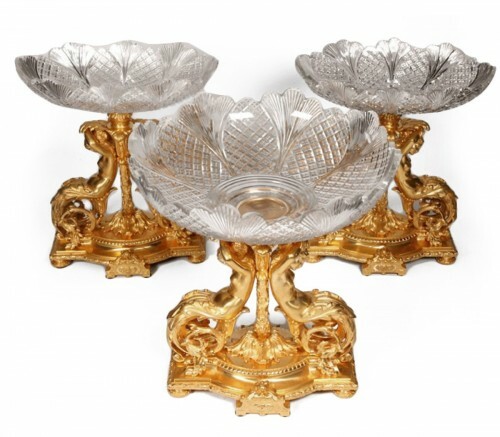 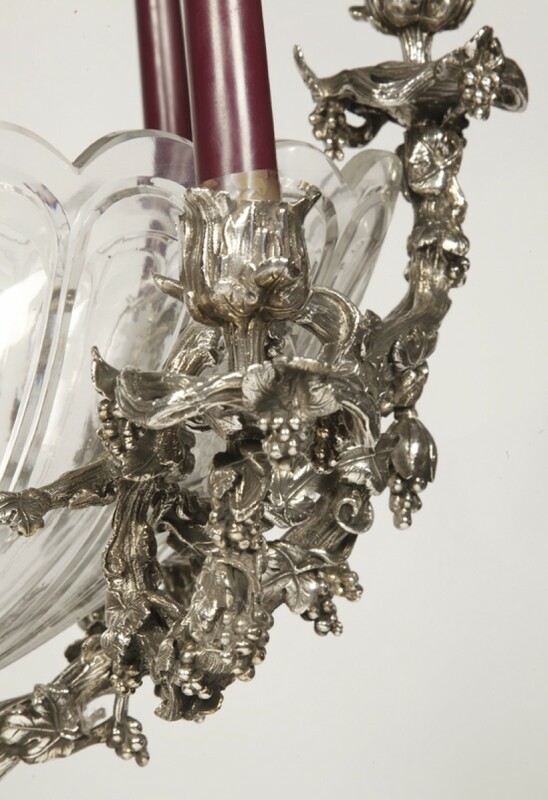 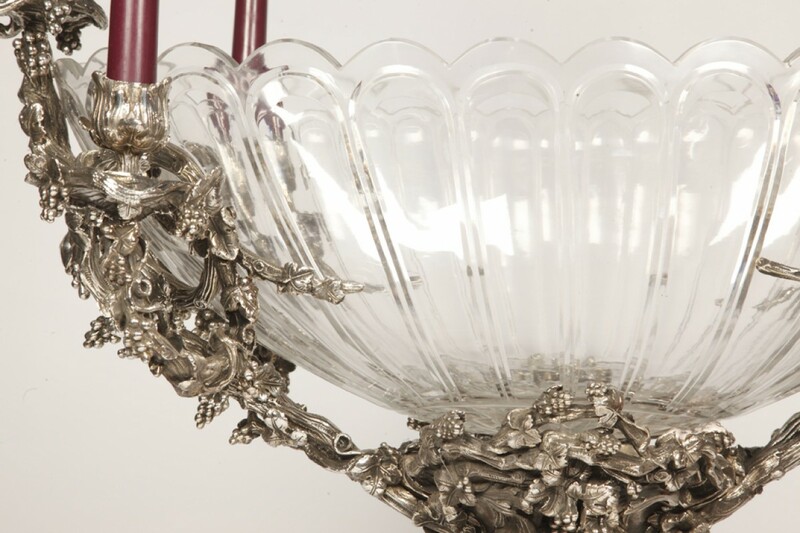 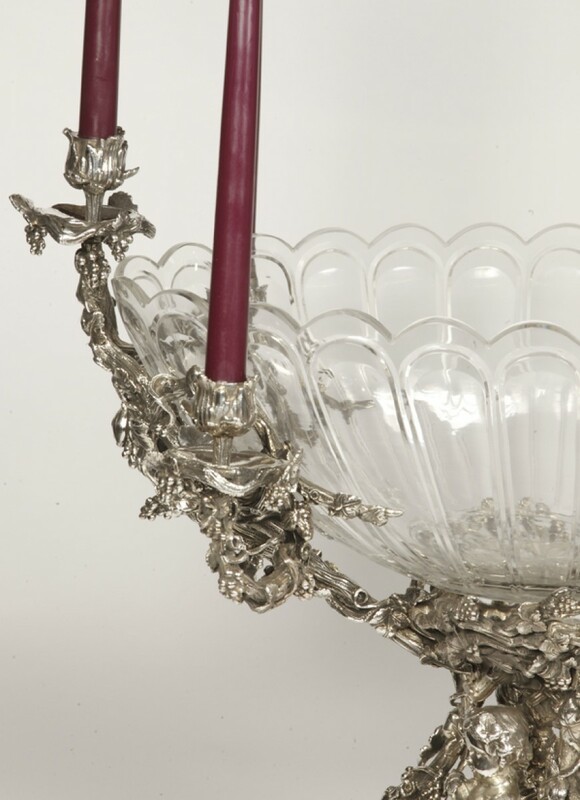 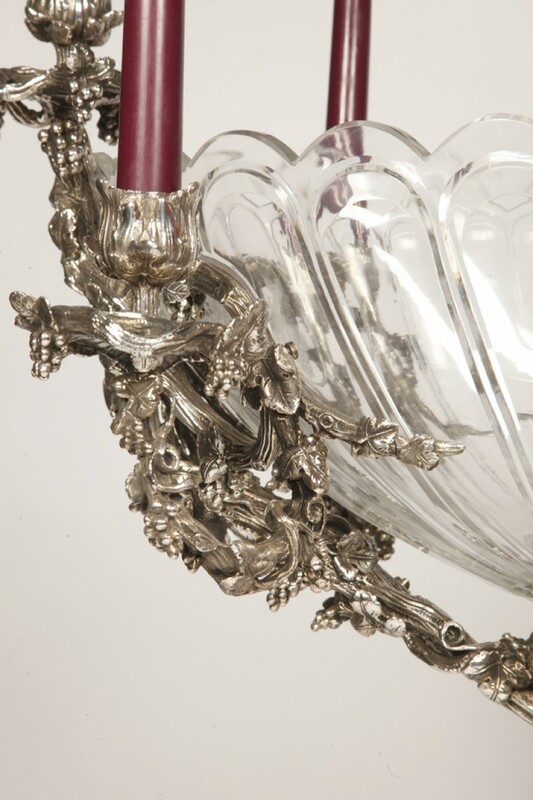 The centerpiece is surmounted by an oval crystal cup with scalloped edge, resting on three vine-wrapped supports, with three standing children picking grapes, the cup is flanked on each side by three pulling branches, terminated by six sconces. acanthus above a vine and cup. The centerpiece is raised on a base of scrolling foliage, branches and flowers.